Good news for everyone using Omise on WooCommerce. We’ve been working on some enhancements and have recently delivered the latest updates with the launch of WooCommerce version 1.2.3. Here’s a quick wrap up of what’s new. 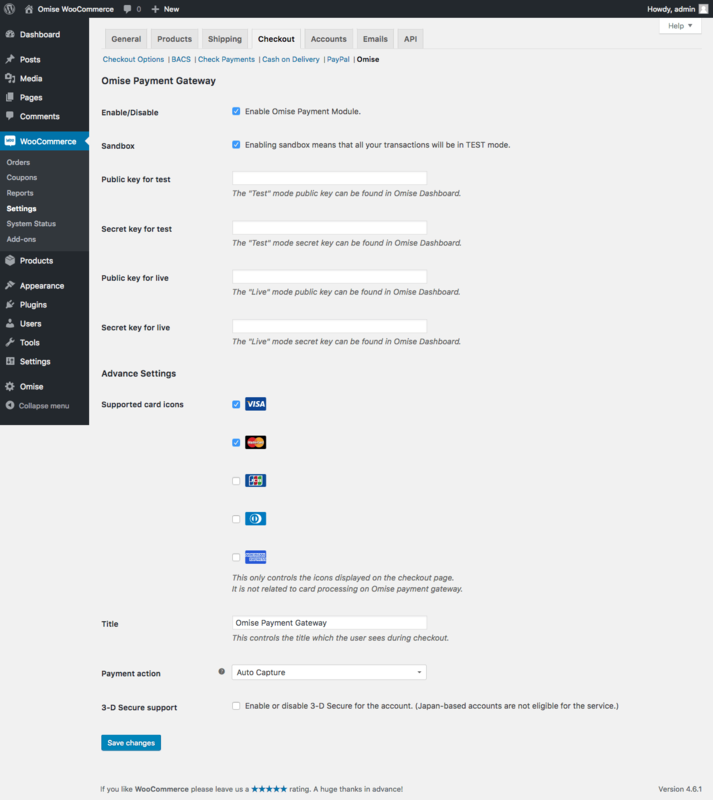 We made an improvement to the information displayed on your dashboard on WooCommerce. Besides viewing charges, you can now see the full list of transfers without having to login to your Omise dashboard. An option to display accepted card brands on your checkout form is also added in this version. You can select the card brands accepted on your store and have them displayed on your checkout form. The launch of this latest version brings a handy new feature, especially for our Japanese merchants which can now switch between English and Japanese on both the admin dashboard and checkout form. More details on all 3 versions can be found here. Comments and feedback is always welcome. Feel free get in touch with us anytime.